Tie Bar Distance :::: 10.6" x 10.6"
Platen Size :::: 15.7" x 15.7"
Only approx. 23,000 run hours! 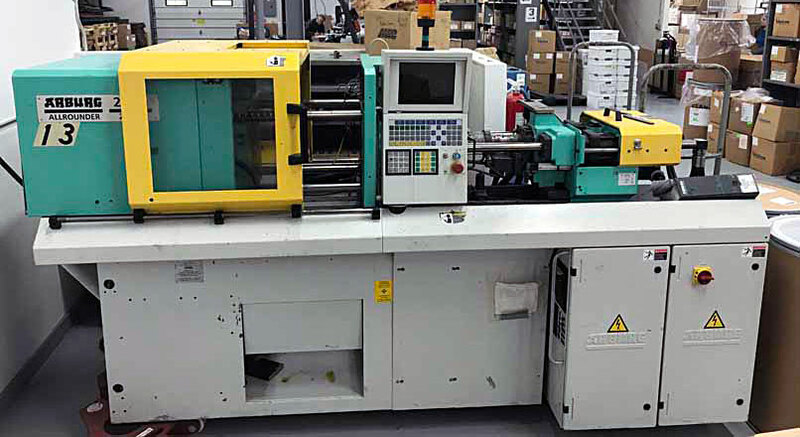 This Arburg produces liquid silicone rubber molded parts and has very low usage for its age. There is another short video available and several photos for you to view - ask us for a quote today!